Hello Pretty's picked Pargo to get your parcels to you. We've done a looooot of research into shipping (which may or may not have involved a lot of online shopping, we admit to nothing), and we've finally found our delivery Prince Charming ? When you check out on Hello Pretty, you'll see Pargo as a shipping option on most stores. To explain what Pargo is: they're a click-and-collect service. When you're placing your order on Hello Pretty, you select a collection point closest to you (and there are over 2 000 of them to choose from), and when your order's there you'll get a notice to go pick it up. No more missed deliveries or descending into co-ordination hell, gang. The future is here. Ship happens. After your order reaches it's collection point (the one that you picked out when you placed your order), they'll keep it for 8 days. So you can get it when it suits you. You can track exactly where it is on the Pargo parcel tracking tool. When your order gets placed, though, you'll receive email and sms notification at each step of the process. When will I get my order? How long does it take? Check the lead time on the shipping tab of the product you're ordering. Then add to that the time that Pargo takes which is 2 to 5 working days. How long do I have to collect it from the Pargo Parcel Point I chose after it's arrived there? They'll hold it for 8 days before sending it back. If that happens you'll unfortunately need to cover the re-delivery fee of R79. When you've received the notification from Pargo letting you know that it's arrived, you (or someone you send) just needs to turn up at the Pargo Parcel Point with the unique code smsed to you, and their ID. This code is the golden key to getting your parcel. Without it, the parcel won't be released. We don't want people stealing your parcel, so that's why. I've lost my unique code! Help! Your code is in the SMS notification of delivery. But if you can't find that, get in touch with Pargo at support@pargo.co.za or 021 447 3636 and they'll sort you out. I got SMSed that my parcel was ready, but the collection point doesn't have it. 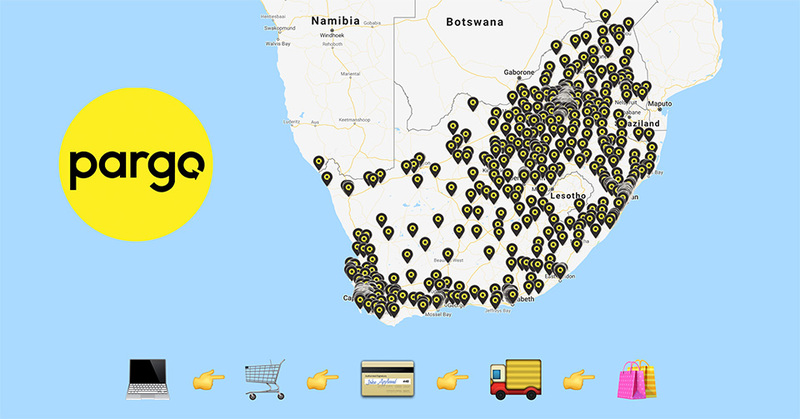 Double check that you're at the right Pargo Parcel Point, and if you are, get in touch with Pargo at support@pargo.co.za or 021 447 3636 to figure out what's going on. I used the wrong email address or phone number on my delivery details. Whoopsie! Contact Pargo ASAP at support@pargo.co.za or 021 447 3636. If your details are wrong, they won't be able to let you know where your parcel is.